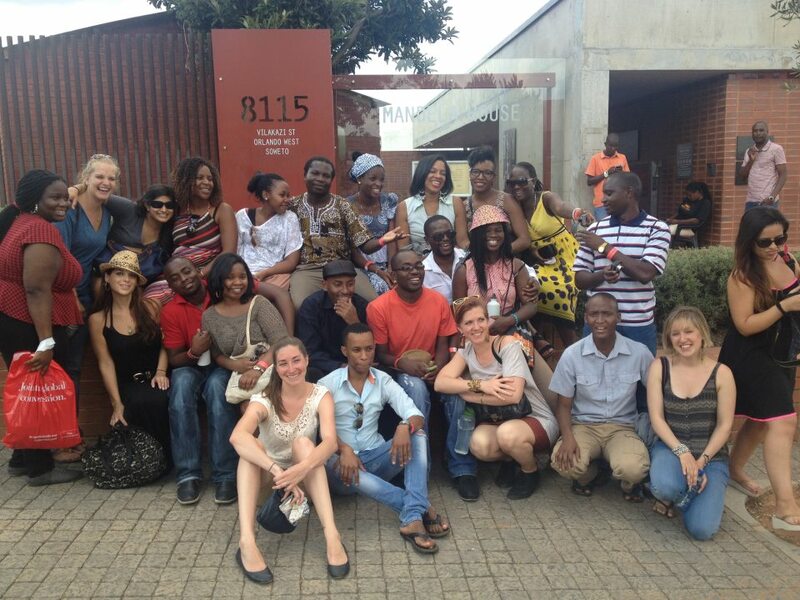 We are happy to announce the successful conclusion of the 12th Democracy & Diversity Summer Institute in South Africa, which took place in Johannesburg from January 7 – 23, 2013. The D&D Institute, organized by the Transregional Center for Democratic Studies (TCDS), in partnership with the University of Johannesburg (UJ), brought together 44 participants from 13 different countries of sub-Saharan Africa, North America, and Latin America. Discussions of social justice and economic development, social rights, building democracy after violence, migrations and refugees, and the forces shaping Africa’s younger generation spilled out from our seminar rooms into study tours, guest talks, and evening events. The exceptional range of our participants’ intellectual, political, and life experiences created a robust context for never-ending conversation at breakfast, lunch, and late-night huddles in UJ’s Sophiatown residence hall. The responses we’ve been receiving from students strongly indicate that this intense encounter between young scholars, civic actors, and faculty from different backgrounds was both intellectually and personally transformative. Above all, it planted the seeds of ongoing academic collaboration and long-lasting friendships. We are deeply grateful to our South African partners for making it possible and to all the students and faculty for their contributions. The TCDS summer institutes, offering a full semester’s worth of course credit, serve as a satellite extension of The New School campus, with this January’s cohort of New Schoolers from NSSR, Milano, NSPE, and Eugene Lang College vividly demonstrating the great potential for cross-divisional cooperation at The New School. We are already getting ready for our next summer Democracy & Diversity Institute, which will take place in Wroclaw, Poland from July 10 – 26, 2013. Please keep your eyes open for a full announcement on our Web site and Facebook. Also, please save the date of March 6 at 7 pm and join us for a TCDS Open House and Wroclaw Orientation! In the meantime feel free to send inquiries to tcds@newschool.edu. To see more details about our program at the 2013 Johannesburg Institute, please click here.